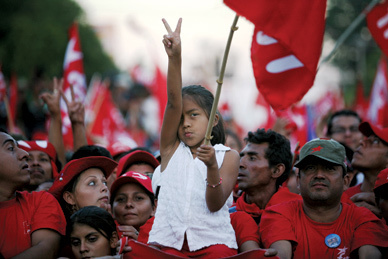 April 8, 2014 – Links International Journal of Socialist Renewal -- The election of Luis Guillermo Solis on April 6 as president of Costa Rica, with 77% of the votes, represents the end of an historcal period and opens the door to unprecedented opportunities for the left. 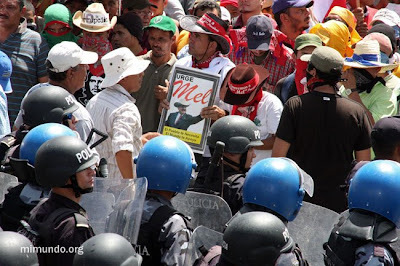 February 23, 2014 -- Links International Journal of Socialist Renewal -- Providing facts and analysis, and publicising and organising Latin America solidarity activities in Australia, Green Left Weekly and Links International Journal of Socialist Renewal has sought to promote greater understanding and solidarity between the people of Australia and Latin America. April 16, 2010 -- Costa Ricans have the highest standard of living in Central America including universal free education and health care and a social safety net of workers’ unemployment benefits and pensions that is the the envy of Central America. However, these hard-won gains are threatened by the capitalist crisis, the implementation of the Central American Free Trade Agreement and other pro-capitalist policies of the governing social democratic National Liberation Party. The NLP won re-election in February with Laura Chinchilla succeeding Oscar Arias as president. What does this mean? Will intensified attacks spark social struggles? The reality of Costa Rican politics is always more complex than can be summed up in a few simple sentences. Such is the case when analysing the results of the February 7, 2010, election in Costa Rica. The mass national resistance movement against the June 28 coup remains a viable and significant political force. Photo by James Rodriguez.